A small wooden floral box including red dahlias, red roses and red tinged succulents with a touch of dodda vine and moss. Order your flower arrangements online or click on our online quotation link to request a customised design. Questions? 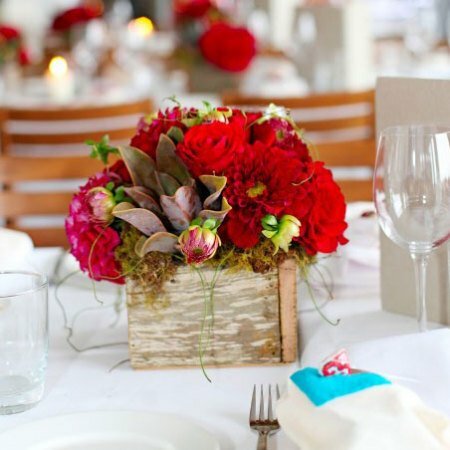 Contact our wedding florists directly at enquiries@bridesinbloom.com.au.